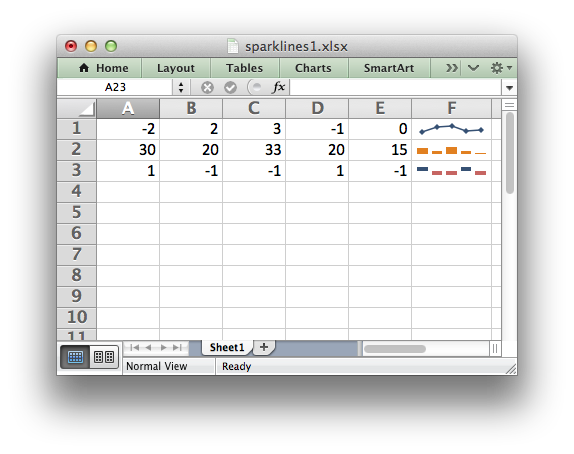 Example of how to add sparklines to a XlsxWriter worksheet. # Example of how to add sparklines to a Python XlsxWriter file. # used to show trends in data. # See sparklines2.py for examples of more complex sparkline formatting. # Some sample data to plot. # Add a line sparkline (the default) with markers. # Add a column sparkline with non-default style. # Add a win/loss sparkline with negative values highlighted.